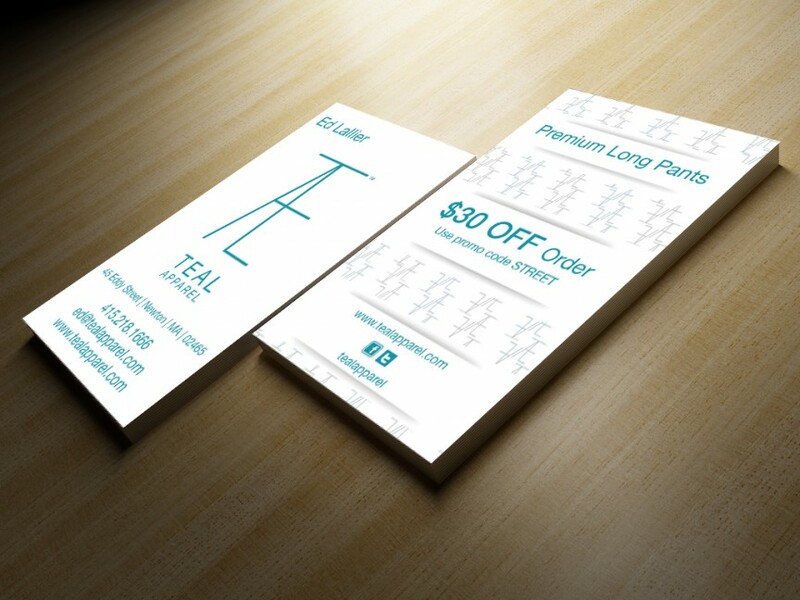 TEAL Apparel needed a modern, sleek design for their business cards, that reflected their high standards for design and artistry. ALX created a beautiful, simple design with clean lines and a minimal color palette that TEAL Apparel loves to hand out. TEAL Apparel was having trouble reaching new customers outside of their small-town home base. ALX offered an easy EDDM solution. 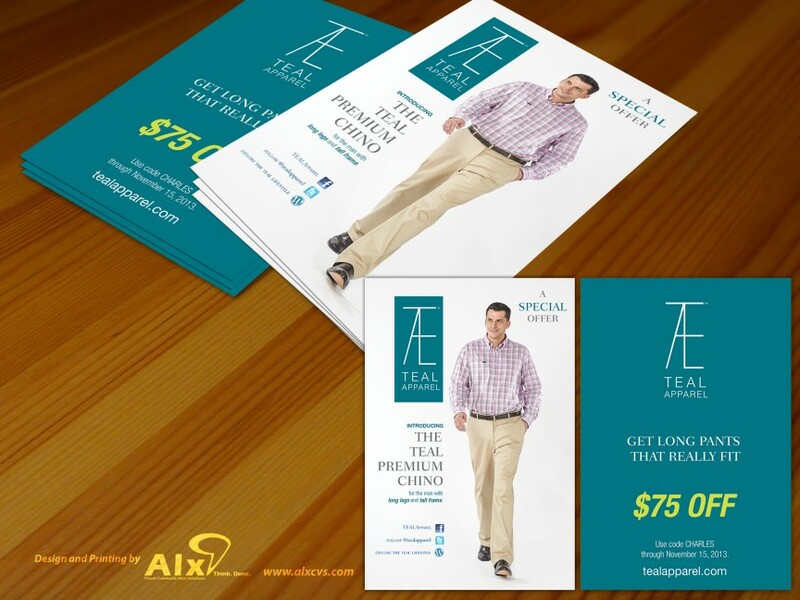 TEAL Apparel sent an attractive, promotional campaign to over 1000 homes in upscale neighborhoods, targeting a specific demographic that would be most likely to shop their high-end clothing designs.